Like so many of my fellow citizens, I have been deeply troubled by the “family separation” policy recently enacted by the Trump administration in furtherance of its stated goal of curbing illegal immigration. The vast majority of these families arrived at our southern border seeking asylum from unspeakable violence, persecution, and poverty in their home countries. That they are then subjected to an official policy of our government that is callously indifferent to their suffering, or to the harm visited upon children from being forcibly removed from their parents, has been conscience shocking to me as an American. As a lawyer, however, I am equally aghast that the government has apparently separated these families without any semblance of due process as guaranteed by the Fifth and Fourteenth Amendments of the United States Constitution. After all, the right to the parent child relationship is a fundamental one, and has been described by our Supreme Court as “essential,” the “basic civil rights of man,” and a right “far more precious . . . than property rights.” Stanley v. Illinois, 405 U.S. 645, 651 (1972) (internal quotations omitted). Our government’s policy of summarily stripping families of that fundamental right, without notice or an opportunity to be heard, and with no protocol for tracking the children or reuniting the families, should be deeply concerning to every lawyer – indeed, every citizen – who holds as sacrosanct the parent child relationship, the guarantees of due process, or both. Because of those concerns, and given my responsibility as a lawyer to uphold and defend the Constitution, I recently traveled to the southern border located in Tornillo, Texas to protest the administration’s family separation policy. 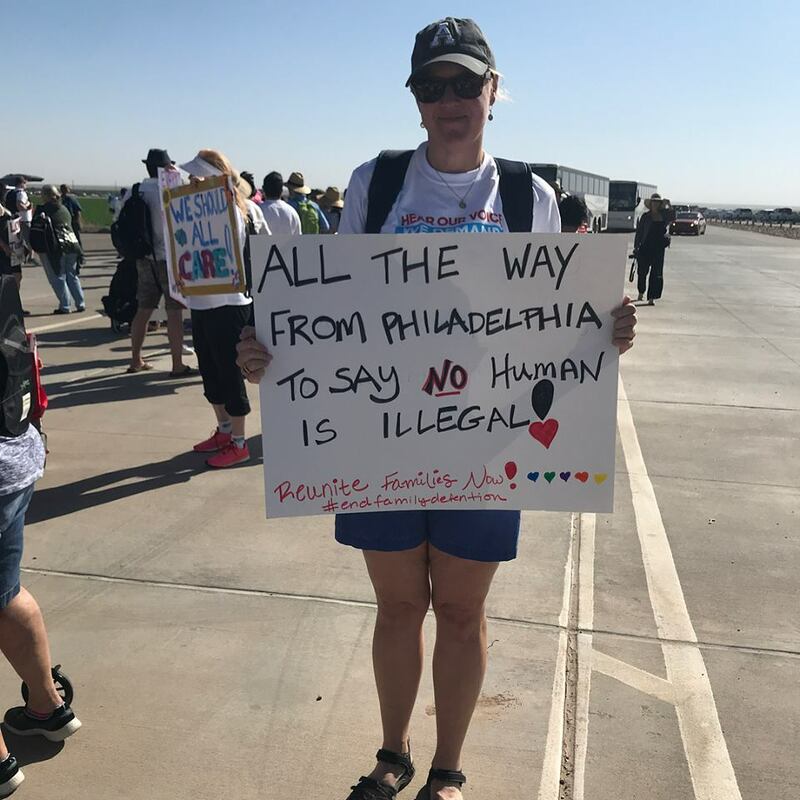 A large group of activists, concerned citizens, and elected officials gathered at the Tornillo port of entry on June 24th to make our voices heard. Similar protests have occurred throughout the country and have brought much needed awareness to this cruel policy, in particular, but also to the many other ways in which our country’s immigration system is broken. In addition to participating in protests, and writing to elected officials, other opportunities exist for lawyers to help families impacted by the administration’s policy, including providing pro bono legal services to immigrants and refugees. Concerned lawyers, law students, and citizens should also consider donating to one of the many worthy organizations performing this vitally important work, including RAICES (Refugee & Immigrant Center for Education & Legal Services); Human Rights First; and Kids in Need of Defense (KIND), which provides support to unaccompanied children in court proceedings.